Curl your fist around 950,000 volts of "shock therapy". 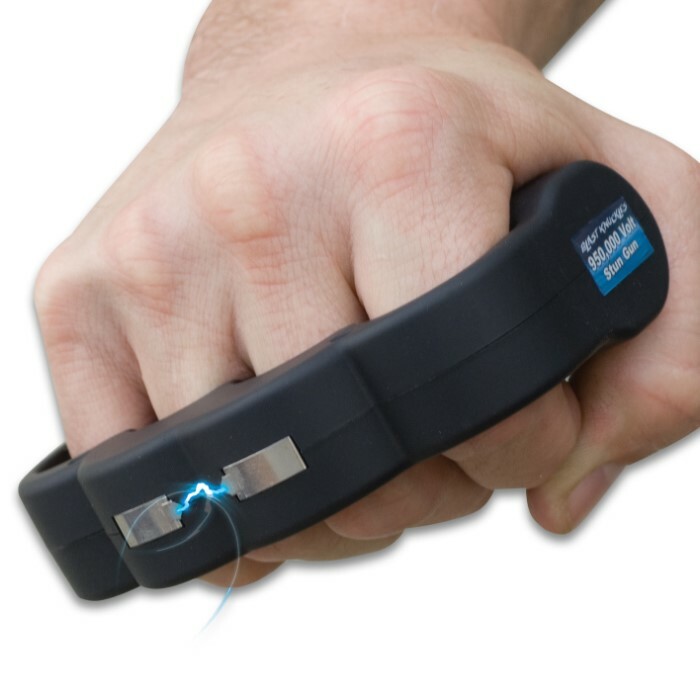 The Blast Knuckles Stun Gun has a unique patented design giving you full control of it's awesome power. 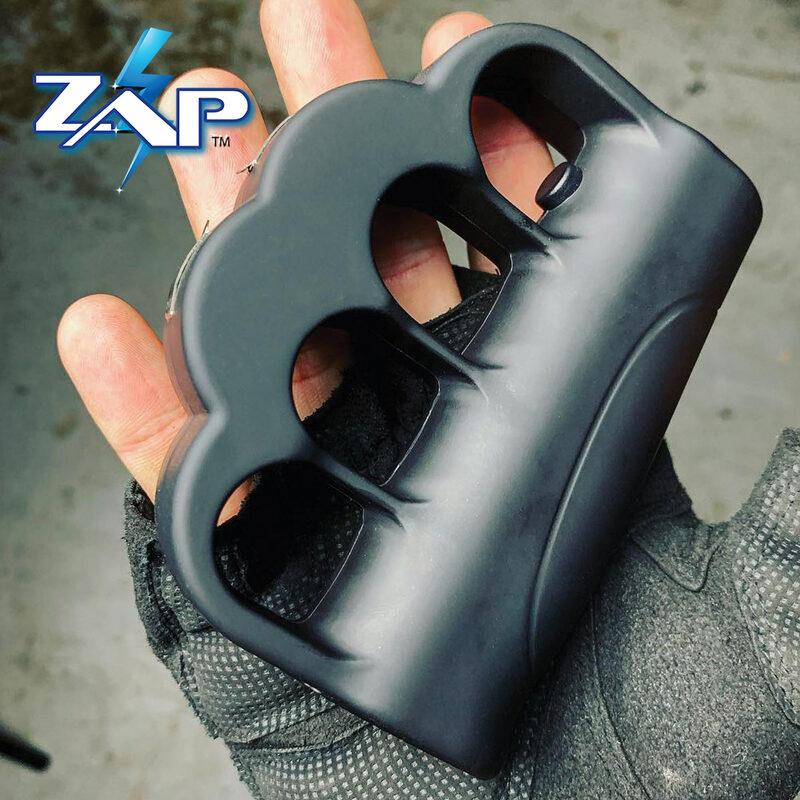 Sure to become a hit amongst joggers, the grip makes for comfortable fit and even has rubberized coating. There is no sacrificing voltage, it releases close to one million volts. Also features a safety switch and "ready for use" LED indicator plus a momentary button releasing the powerful shock. 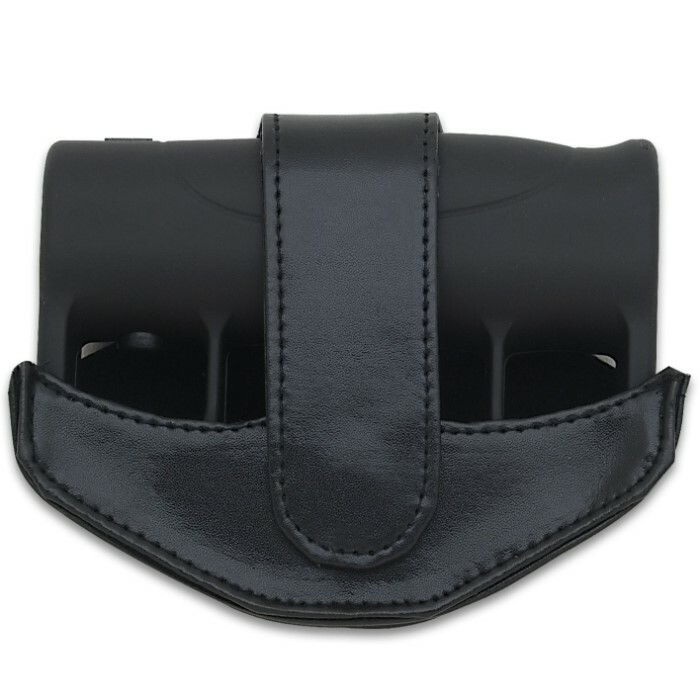 Includes 2 lithium batteries and a magnetic leather holster w/ belt loop. oh yeah! it works! when i got mine my buddy kept begging me to shock him, finally i broke down, i made him lean on the couch just in case he fell, i shocked him in the back of the leg halfway down (which isnt even i really good place) - and trust me, he is a tough guy. i hit him as fast as i could (just touched him - like 1/2 a second) and he went down like a sack of potato's!! it took him a sec to get up and i asked - did it hurt? he says - every cell in my body hurt, how long did you hit me for? i told him less than a second, he couldnt believe it - he thought i held it on him - oh yeah, it works! 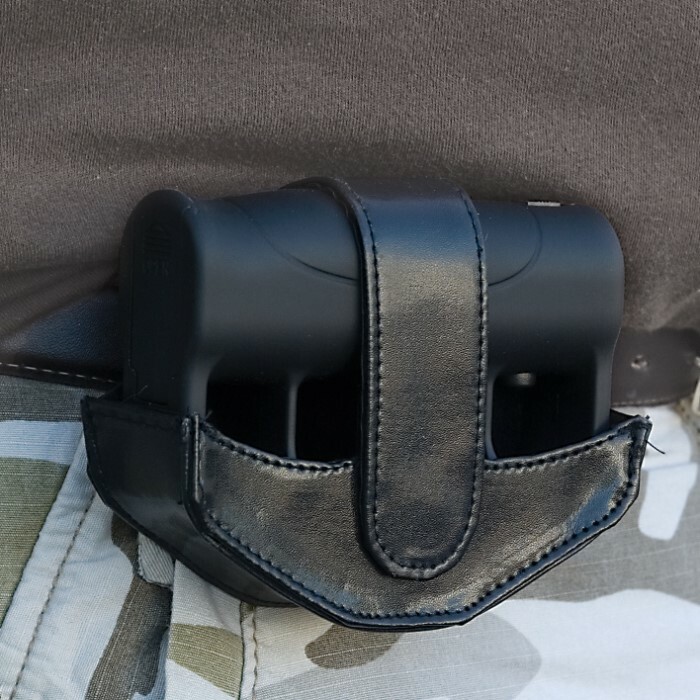 I bought one of these after being threatened with bodily harm by a thug. I keep it with me at all times. 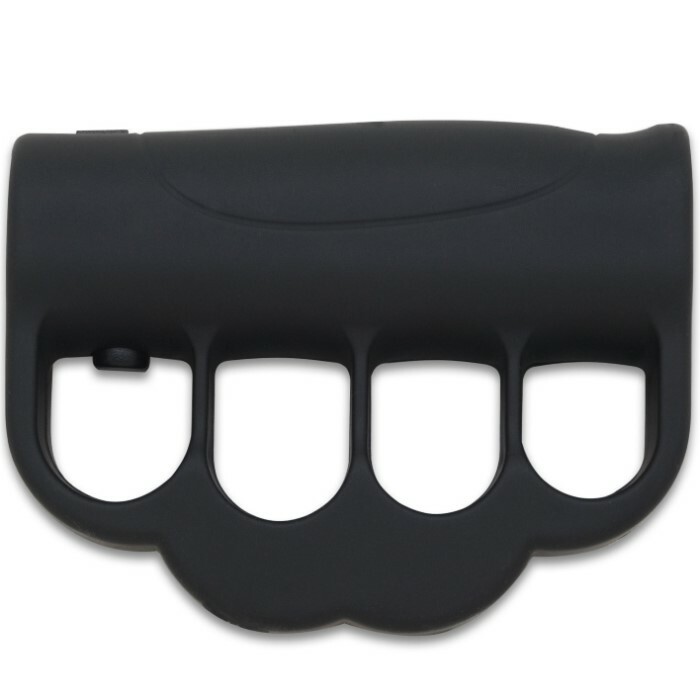 The fact that it fits like brass knuckles makes it seem likely that an assailant would not be able to take it away from you very easily. I am also ordering one for my wife. I hope to never have to use it, but if I do, I'm sure it will perform as stated in the ad. I keep mine in my truck and noticed that the stun gun feature has problems functioning in very cold temperatures. I haven't had the need to use it but I have no doubt that the Blast knuckles could get me out of a bad situation fairly easily with its solid construction and built in 950,000volt stun gun. OK. Let me put it in 1 simple word.